Dr. Gang Guo is Croft Associate Professor of East Asian Politics. He is on sabbatical during the 2017-2018 academic year. A native of Wuhan, China, he studied international politics at the Institute of International Relations in Beijing and received his Bachelor of Law degree in 1997. From 1997 to 2002 he was a graduate student in the political science department at the University of Rochester and was awarded a PhD degree in 2002 with a dissertation entitled "Party Recruitment and Political Participation in Mainland China." 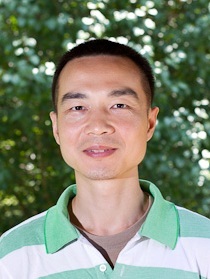 Since joining the University of Mississippi faculty in 2002, Dr. Guo has taught undergraduate and doctoral courses on comparative politics and East Asian studies. His current research interests revolve around local political economy in China. He teaches Inst 203 and special seminars on social science research methods and on globalization in East Asia for the Croft Institute. He also has supervised more than 35 Croft senior theses, 1/5 of which have won a best thesis award. This undergraduate seminar course provides an in-depth and multi-disciplinary look at the phenomena, causes, and consequences of globalization. Although most of the course content has a regional focus on East Asia, the theoretical and empirical foundations of many of the issues covered in this course are not strictly constrained to this part of the world and can be easily applied elsewhere. The course starts with a broad historical overview of the phenomena of globalization as it relates to East Asia. The Silk Road is an early example of globalization in human history, while the experiences of Japan, the "Asian tigers," and China in the past half-century exemplifies the multi-faceted nature of globalization. The course then turns to the explanations of globalization, especially from an economics point of view, combining abstract discussions of the important concepts and theories in economic globalization with concrete examples and empirical evidence. The third part of the course will be devoted to the various consequences of globalization, which fuel many of the contemporary debates on the normative implications of globalization. We will examine the impact of globalization on international relations (neoliberalism, US-China symbiosis, etc. ), on democratization, on fiscal policies, on labor rights, on the environment, and so on. The course has a substantive emphasis on contemporary real-world issues in global politics and policy. The abstract concepts and theories are illustrated by actual examples and empirical data, and the underlying substantive issues are those that international studies majors are interested in and care about. The required readings for each seminar session are real examples of contemporary academic research on the topic of globalization. By critically reviewing other scholars' research products, students can potentially apply the concepts and methods learned in this course to other social science research projects that international studies majors often deal with in their course work or senior theses. An introduction to the politics of China, with an emphasis on the mainland in the post-Mao reform era. It includes important topics in the Chinese political history, political ideology, political institutions, political processes, as well as some key issues in contemporary Chinese politics. A general introduction to the basic features of the research methods used in the scientific study of politics and policy around the world.